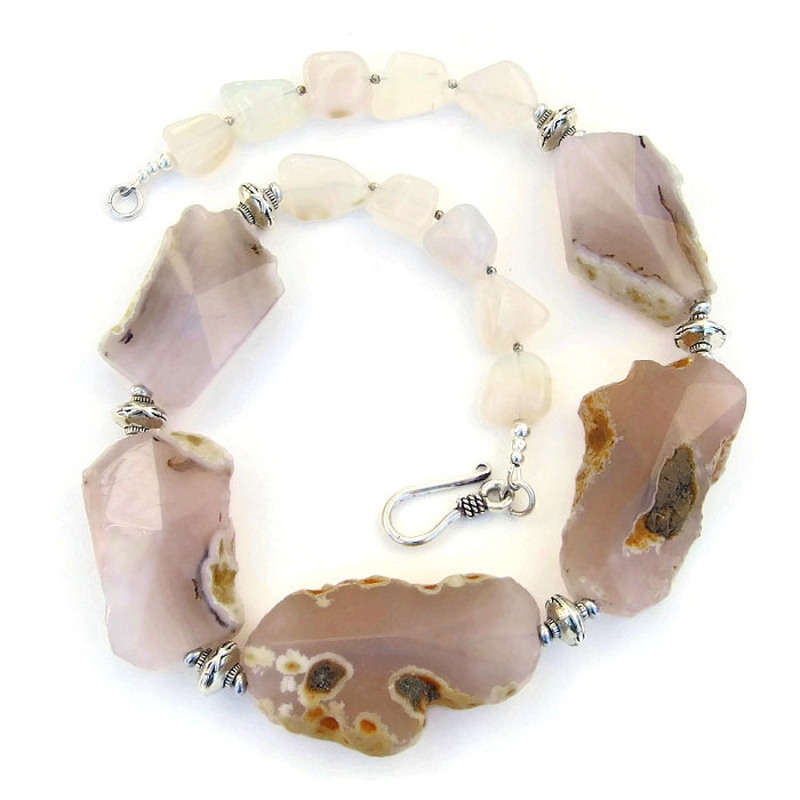 Created for the woman who loves chunky statement jewelry, the PICTURE PERFECT PINK necklace features five unique translucent pink agate slabs with some of the natural rind left on for beautiful contrast and large facets to catch the light. 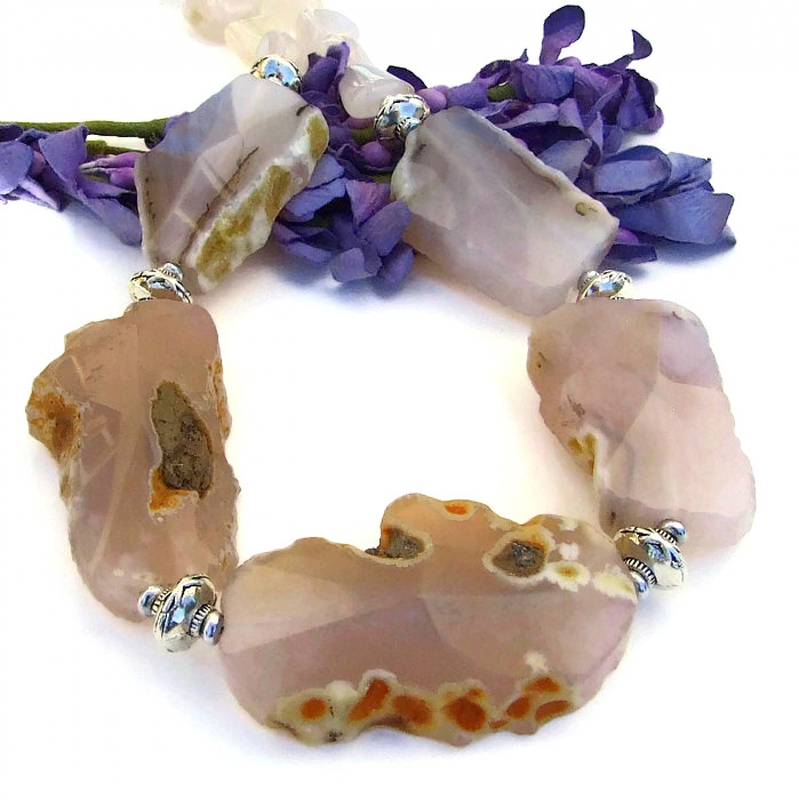 Between each pink agate gemstone are glowing, high quality pewter disc beads. 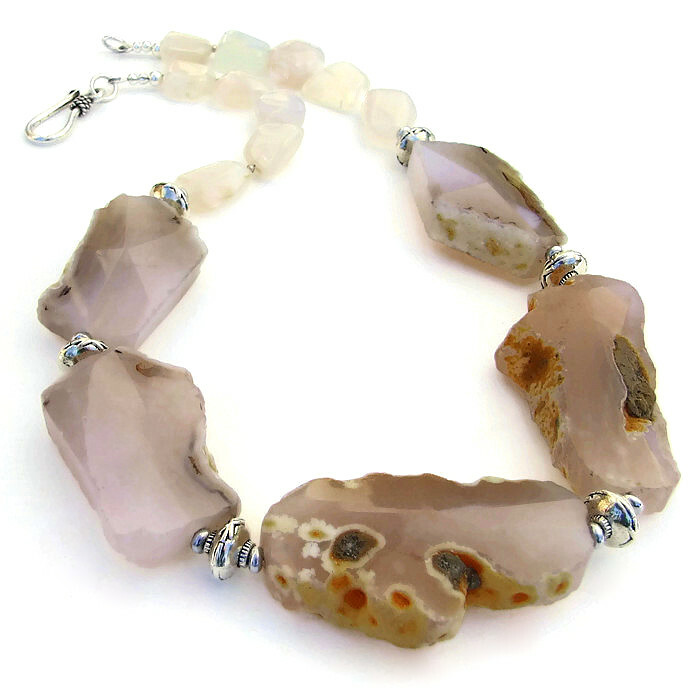 The back of the handmade necklace is finished with small, translucent pink agate nuggets polished to a high sheen and a lovely sterling silver hook clasp. 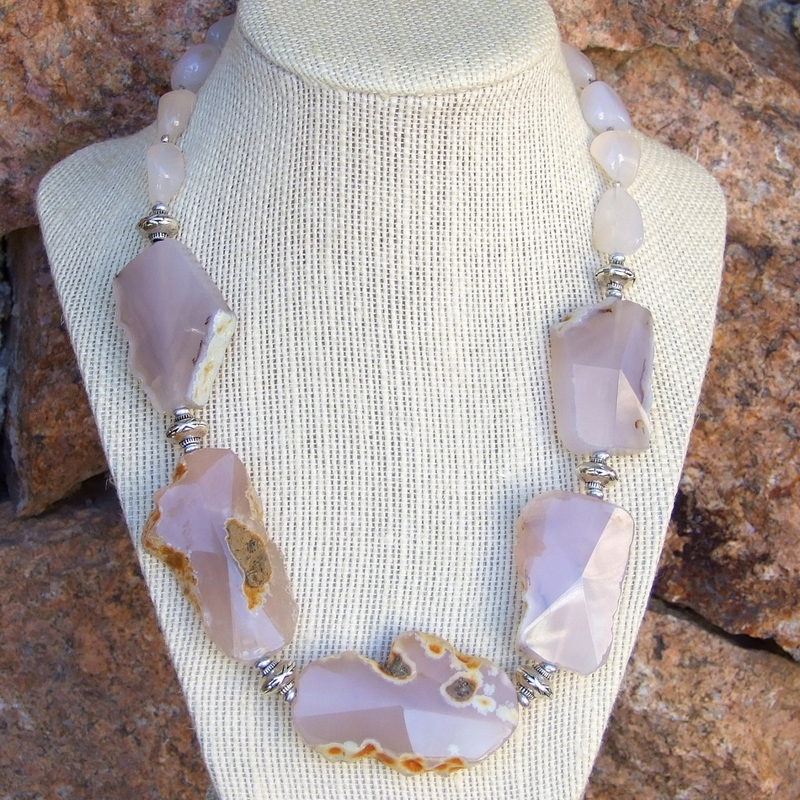 Carefully designed and handmade by Catherine of Shadow Dog designs, the PICTURE PERFECT PINK definitely shows you are a woman who loves one of a kind, artisan jewelry. 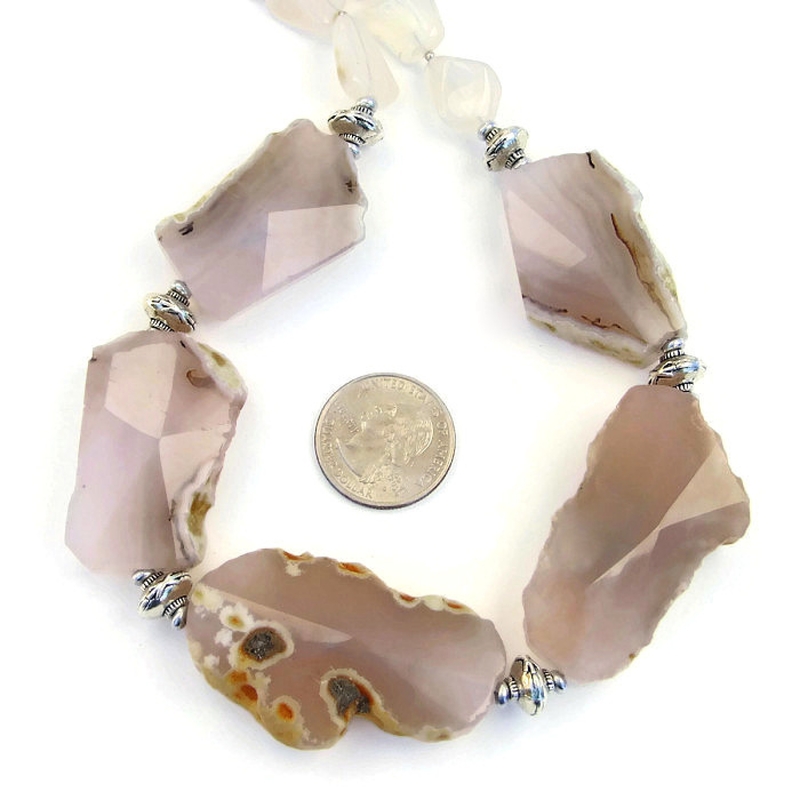 For a better understanding of the relative size of the pink agate used in the PICTURE PERFECT PINK necklace, please be sure to check out photo #5 for a size comparison with a quarter. 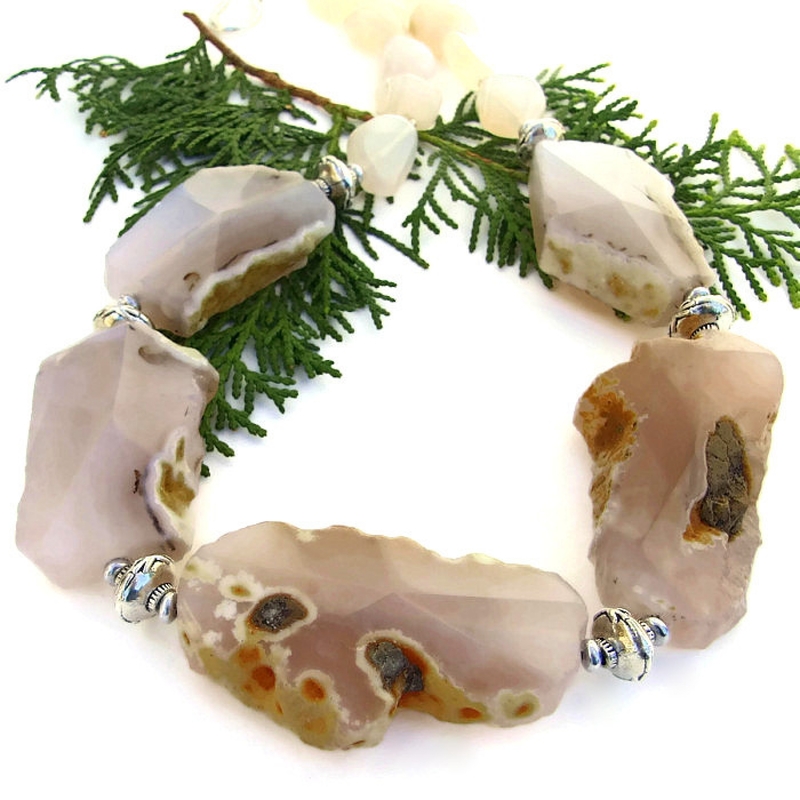 Pink Agate is said to ease stress, calming and comforting the wearer. Pewter is believed to be very grounding, bringing the wearer back to reality. Silver is a metal of love and healing; it is a mirror to the soul, helping us to see ourselves as others see us. 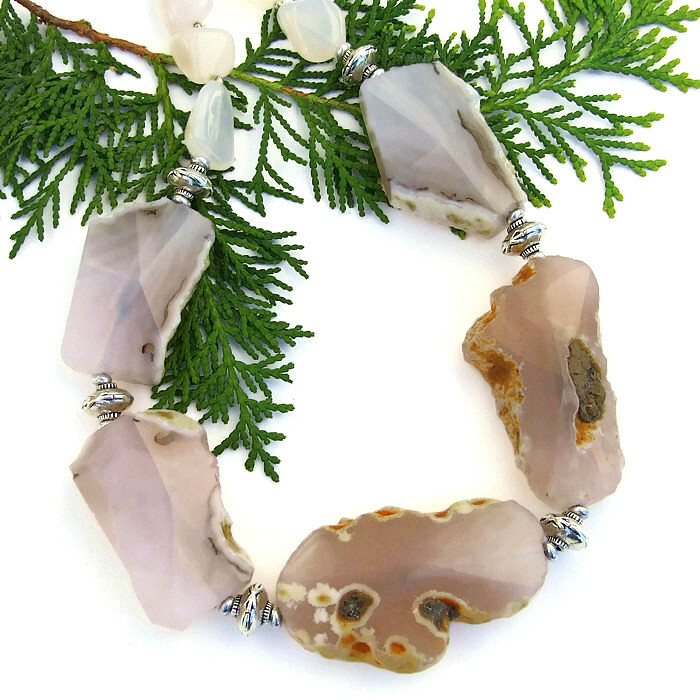 The PICTURE PERFECT PINK handmade pink agate slab necklace was carefully designed and handmade in a dog friendly, smoke free studio. The artisan necklace will come with two informational drop tags: one with the piece's name; the other lists the materials used in the necklace and the language of the stones and metals. It will be carefully packed in an organza jewelry bag, perfect for gift giving to a loved one . . . or to yourself!